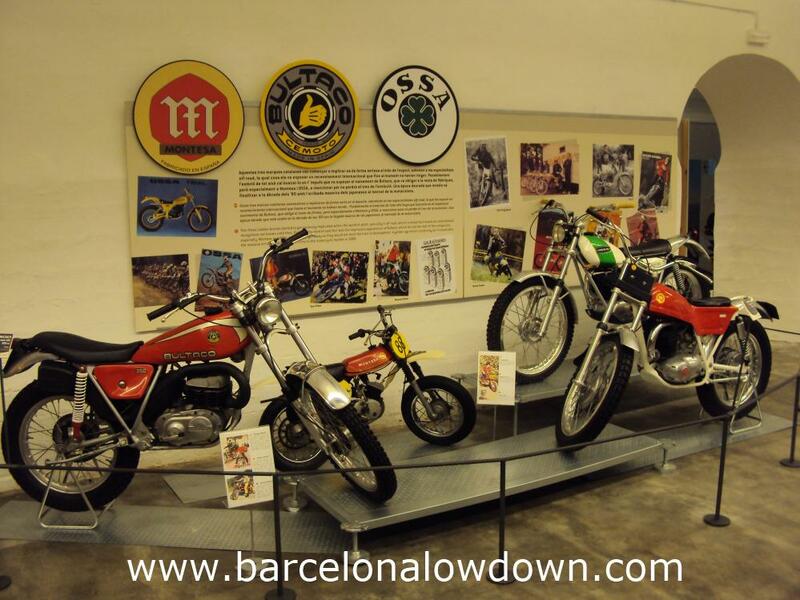 This small museum in the heart of Barcelona’s Gothic quarter houses a collection of approximately 70 classic motorbikes. 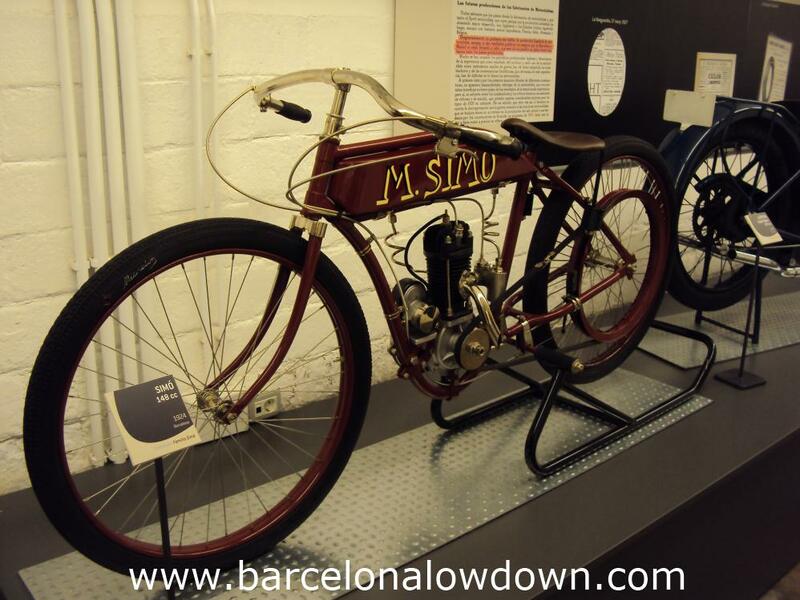 The museum’s collection is set out chronologically to explain the history of Catalonia’s motorbike industry from 1905 to the present day. 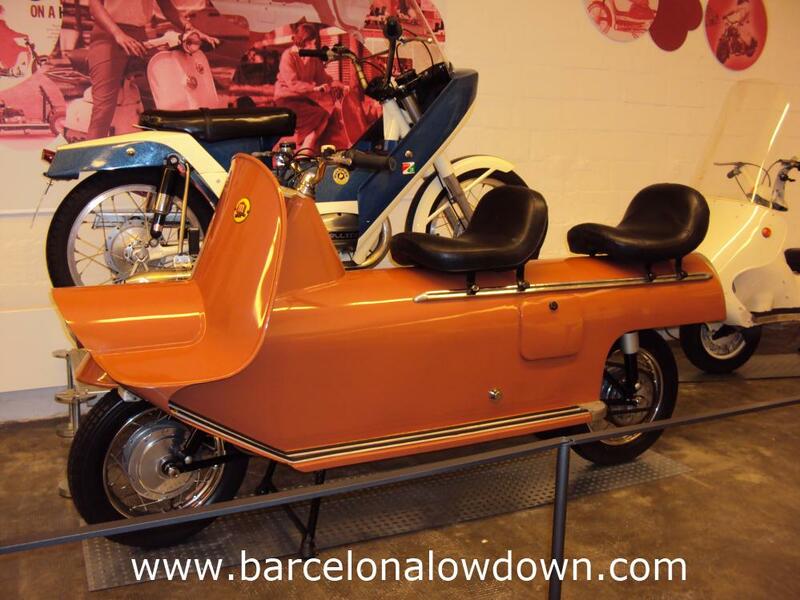 In addition to well known Catalan makes such as Derbi, Bultaco and Montesa. 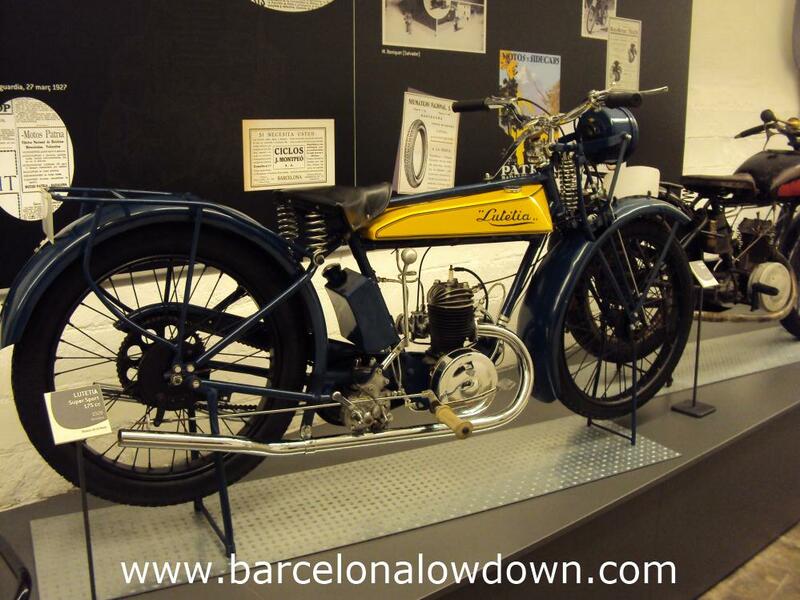 There are also vintage bikes from lesser known brands like Belfi, Lutetia and Simó. All of the bikes have been carefully restored to pristine condition. 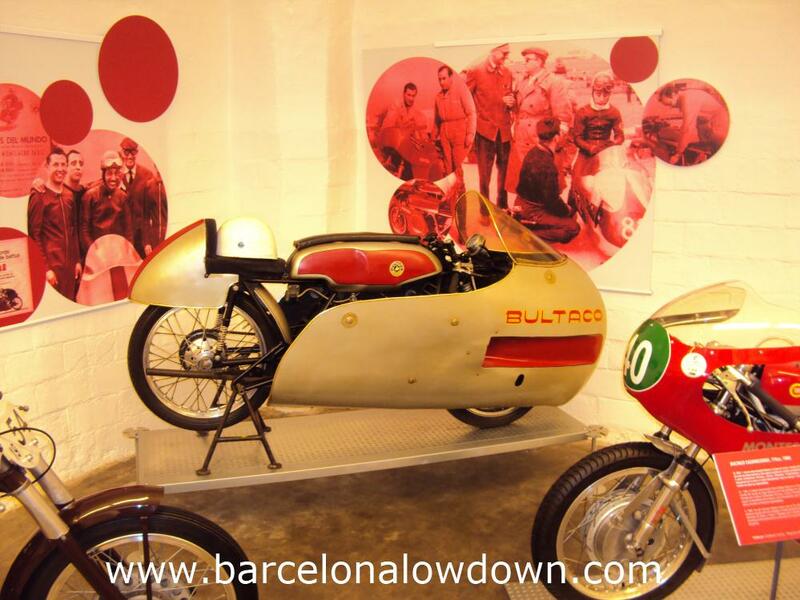 There is also a temporary exhibition dedicated to unique and unusual motorcycles. This section includes pre-production prototypes and specialist bikes for unusual motor-sports such as speedway, grass-track, ice-racing, motoball, and “cycling behind motorbikes”. Perhaps the most unusual machine on display is the Michelin “wheel bike” which was built to highlight the fact that tyres are the most important part of a motorbike. Based on a 250cc Honda, I hate to think of the sort of damage you would do to yourself if you fell off this thing! There are also a handful of custom bikes including a competition winning Harley and this spectacular 750cc Vendetta. At first glance it looks like just another “Mad Max” inspired custom. Closer inspection reveals details like the “orbital” wheels, there’s some serious engineering going on here! You should allow between 30 minutes and an hour to visit the museum. 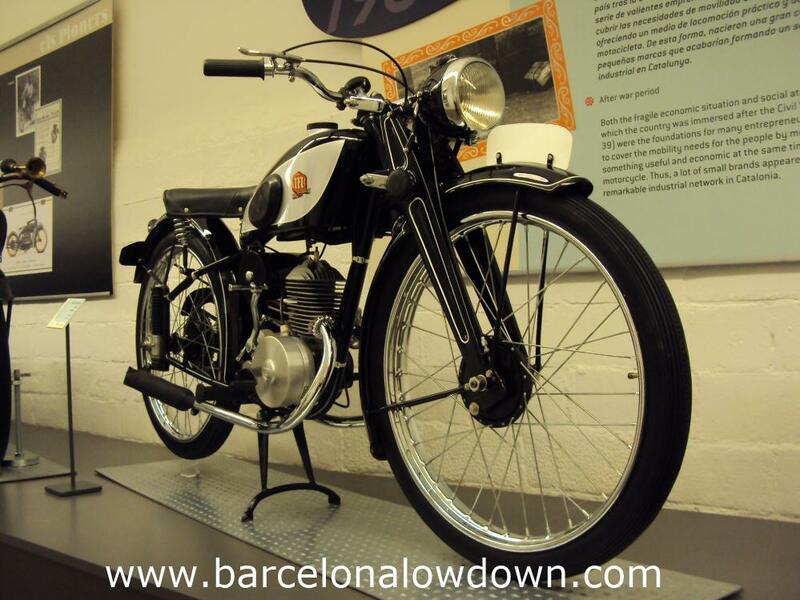 The Motorcycle museum is near to Barcelona Cathedral. Get 10% off ticket price by showing your ticket from either the Barcelona Mammoth Museum or the Museu Olimpic. This entry was posted in Attractions tagged gothic quarter, museum and updated on October 30, 2016 by Richard. Where did you get the Montesa? In my dreams… Unfortunately none of the bikes are mine! Thanks for your comment Kate, I think it’s a great little museum. 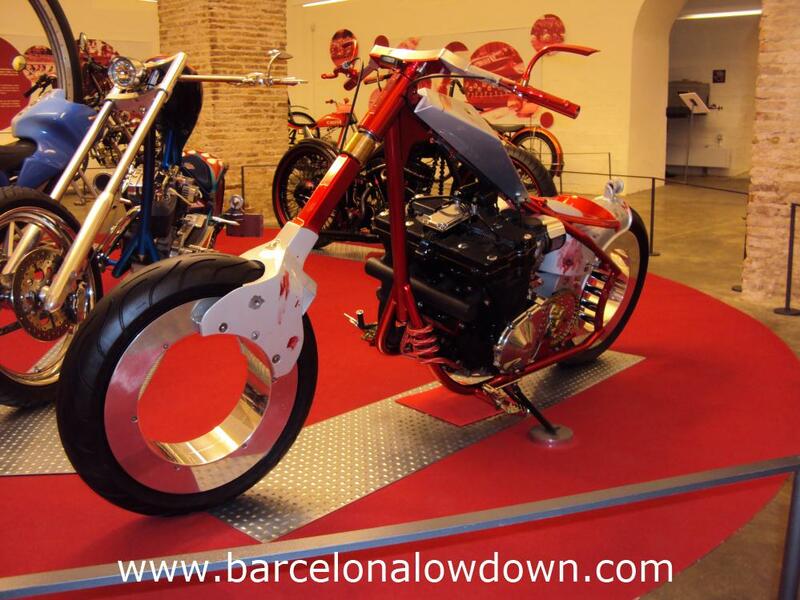 The wheel bike would definitely turn heads! If I had to pick a favourite I think it would be a toss-up between the yellow and black Lutieta Sport and the Vendetta. 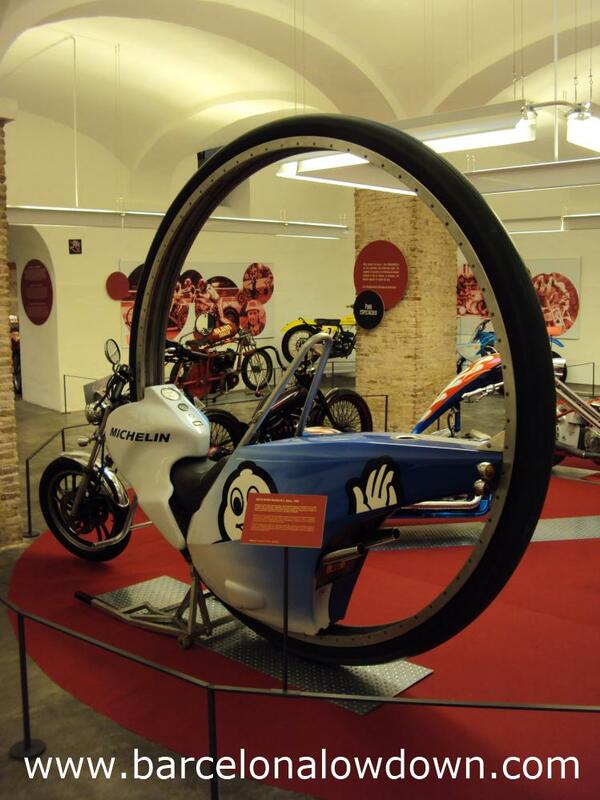 That is a great reminder of where the sport of motorcycle has come from, will be going to the museum soon! If you like motorbikes (which from the looks of your website I’d say you do !) you should definitely check the museum out during your visit. Thanks for your comment and enjoy your stay in Barcelona!